The first page introduces the book to the student. 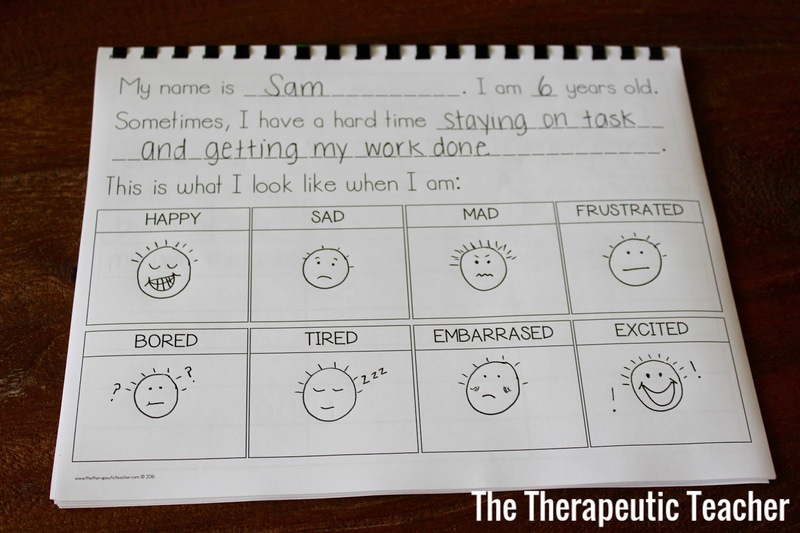 Drawing pictures of their emotions will help them connect to these emotions as they happen in real life. Discuss situations they feel these emotions in, letting them know it is appropriate to feel these at different times in our life. 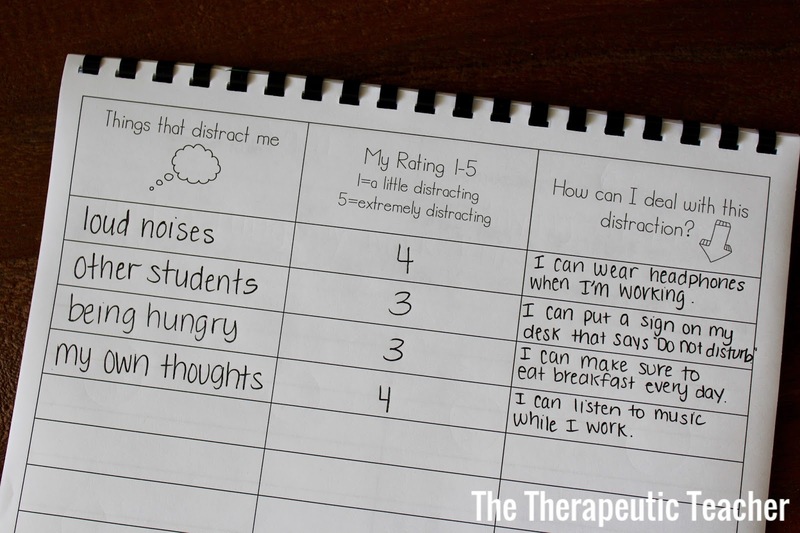 This page allows the teacher to understand what the student feels is most/least distracting. This can sometimes help a teacher who is unsure of what to try next. The distractors can seem hidden to us as teachers, but so obvious to the student. The first way to make progress is to identify the problems. 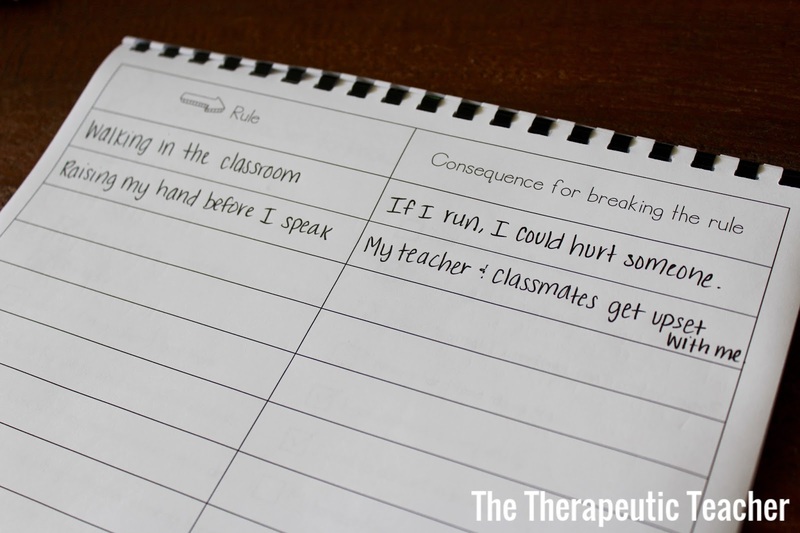 This page encourages the student to think about what rules they know of and the consequences for breaking the rules. Sometimes just talking about what is appropriate/not appropriate will improve behaviors. This page can easily be referenced in real situations… “Remember that rule you mentioned? What is the consequence?” …to prevent the behavior from occurring. This checklist provides an opportunity for the student to help the teacher understand them better. Tell students to be honest with what they want you to know. All of this information is used to gain a better understanding of how to help this child. 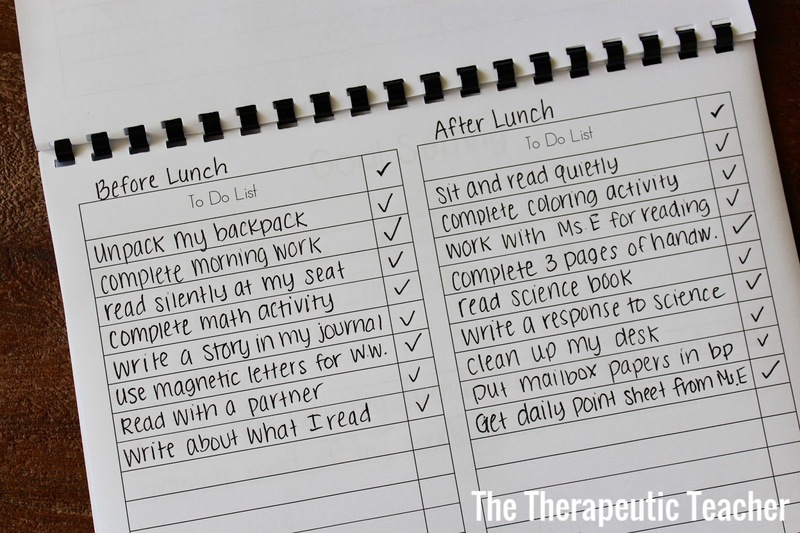 A to-do list, which comes in two sizes, can be used for anything you want the student to complete. 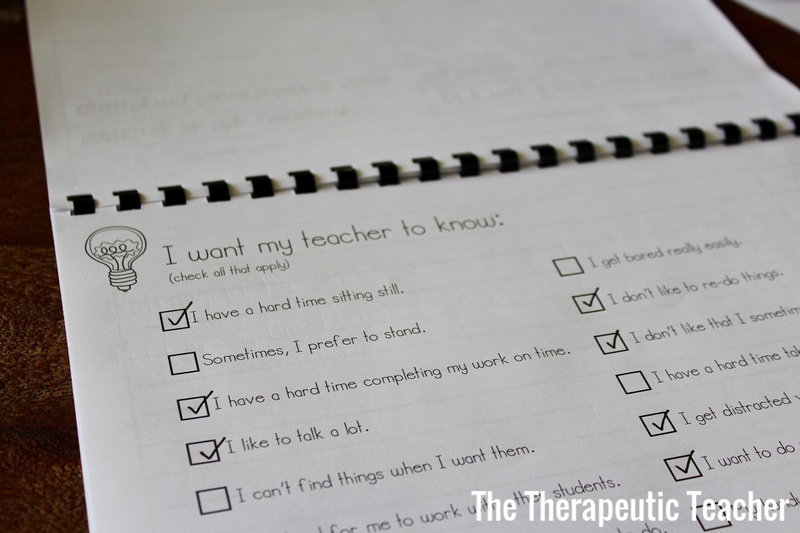 The items on the list should accommodate the student, not hinder them. For example, some students can handle having a week’s worth of assignments/things to do, where some students need it broken down by day or even by hours. If parents are having trouble at home, have them use the to-do list for regular routines such as brushing teeth, completing homework, etc. Goal setting is always a great way to start a discussion about change. 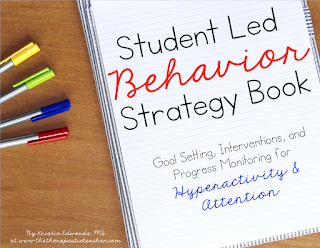 The student has to be motivated to change their behavior and goal planning for future, weekly, and daily can help with that. Again, this planning sheet can be used in any way, but is designed for future, weekly, and daily goals to be aligned. Each goal should get more specific. 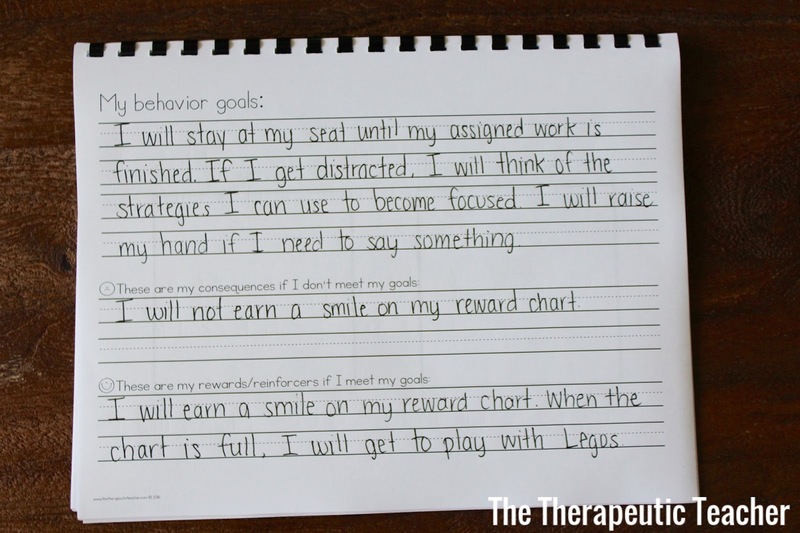 This goal sheet is designed to focus more on a specific target behavior. 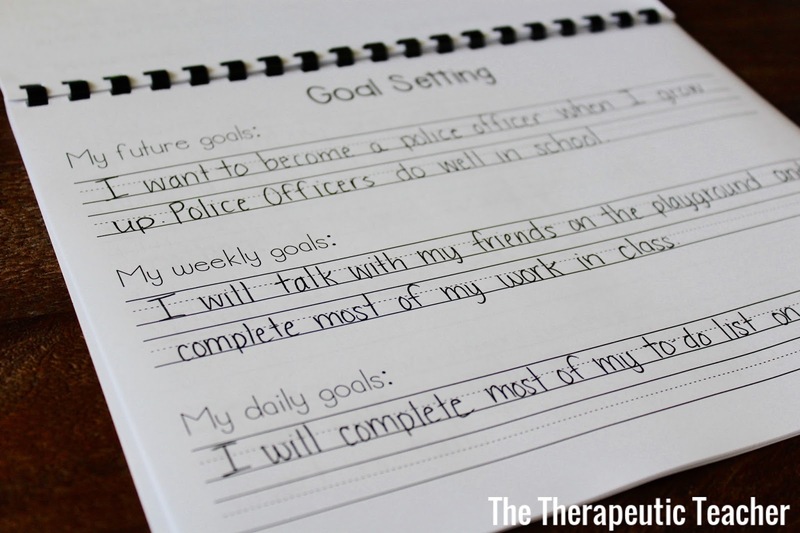 Help your student create a goal that is stated positively. For example, “I will raise my hand and wait to be called on before I share something with the class” rather than “I will not blurt out my answers.” The student should assist in developing the rewards/consequences. The more vested they are in these rewards, the more likely they are to achieve the goal. 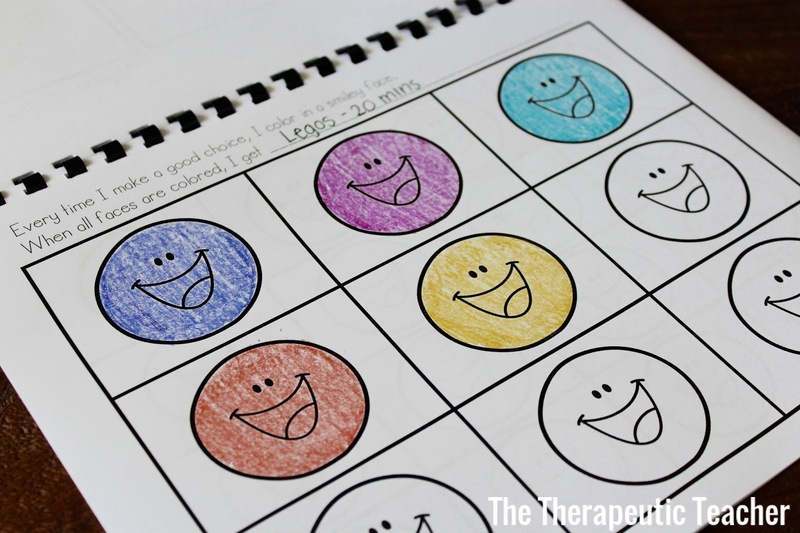 The smiley chart is a basic behavior incentive form. 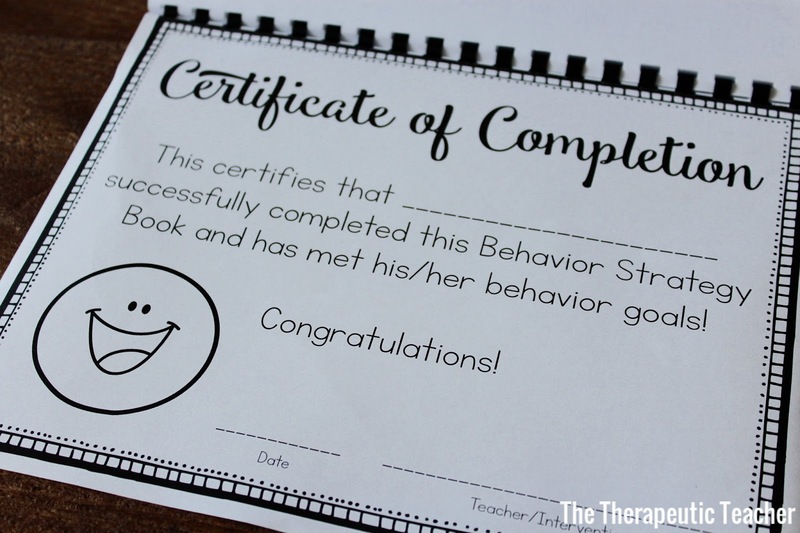 The most useful way to use it is by laminating and allowing the student to color in with dry erase every time they meet their behavior goal. It comes in three versions. Some students will be able to achieve 25 smileys in a day, where others may only be able to achieve 9. Either way, the student is making progress and the amount of smileys can always be increased/decreased. These can also be printed and used as a form of daily home communication. 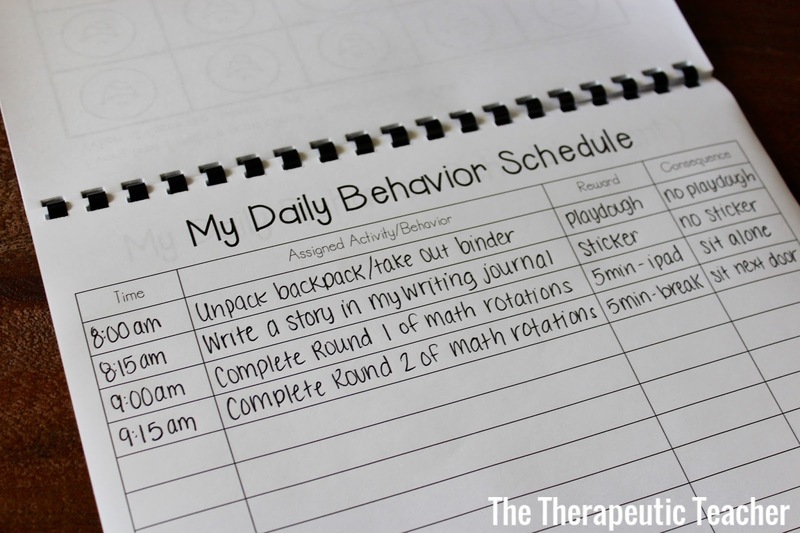 A daily behavior schedule can be created, not only for structure purposes, but as a visual list of what the student is expected to do/act and the rewards and consequences of each. Again, it’s imperative that the student helps to develop these. A teacher filling this out and handing it to the child will do nothing. The student needs to have interest (rewards) in completing these tasks. A reward could be as simple as standing up and stretching or helping the teacher pass out papers. Small, but intrinsic rewards, go a long way with these kiddos. 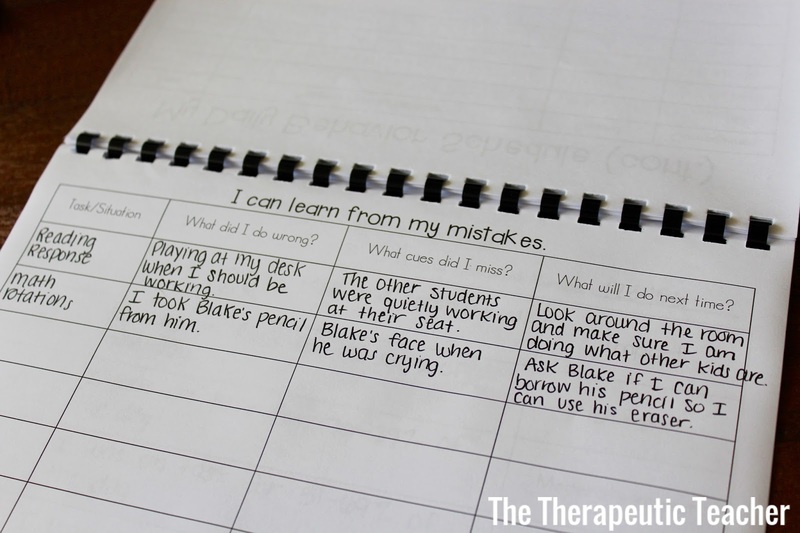 This page is a spot for the student to record their “mess ups” and allows an opportunity to learn from their mistakes. 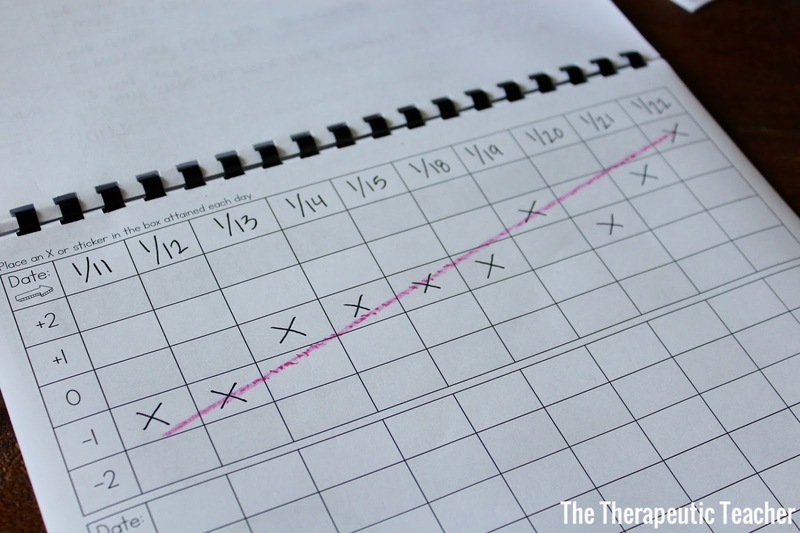 This doesn’t need to be completed every time the child is off task, but recording the major occurrences will help point out to the child what they are doing wrong. The “what cues did I miss?” column can be used as a teaching opportunity to show the student what they should have noticed before they misbehaved (facial expressions, what other students were doing at the time, time of day, etc.). The progress monitoring can be the most influential part of this process. This page is designed after a model called the Goal Attainment Scale (GAS). 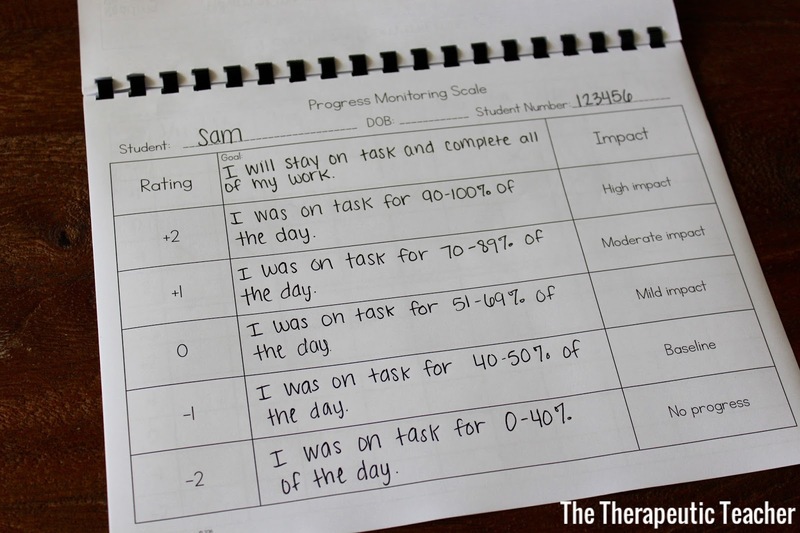 The student’s goal is listed and broken down to what a high impact to no progress would look like. (See completed example for a better understanding.) It is 100% necessary to come up with these with the student. The second part of GAS is to monitor the student’s self rating. This page allows for 4 weeks of progress monitoring. Each day, the student refers to the previous page (scale) and rates where they fell that day. Place an ‘X’ or a sticker in the box of the rating they chose. As the goal improves, an upward trend line will become visible. Finally, after successful completion of this book, the student deserves to feel accomplished. Give them this certificate and make sure to make it a big deal that they’ve achieved their goals! 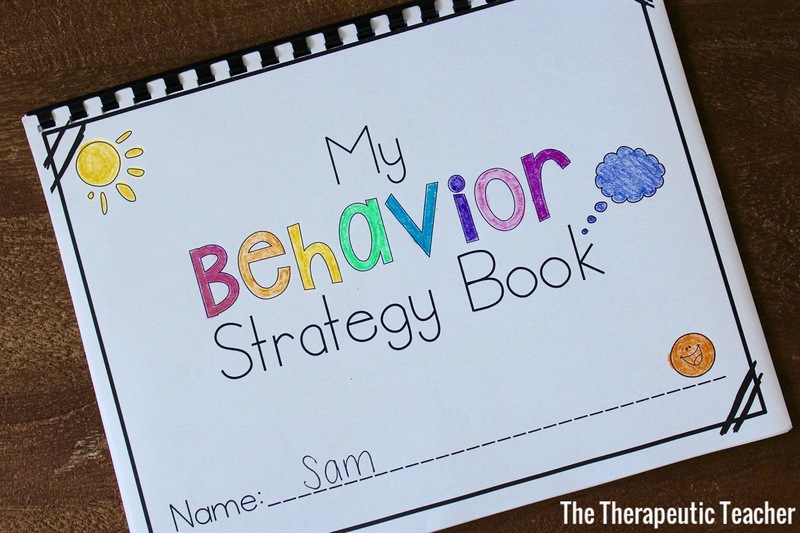 Interested in trying behavior books with some of your students? Click on the photo below to download it from my Teachers Pay Teachers store!